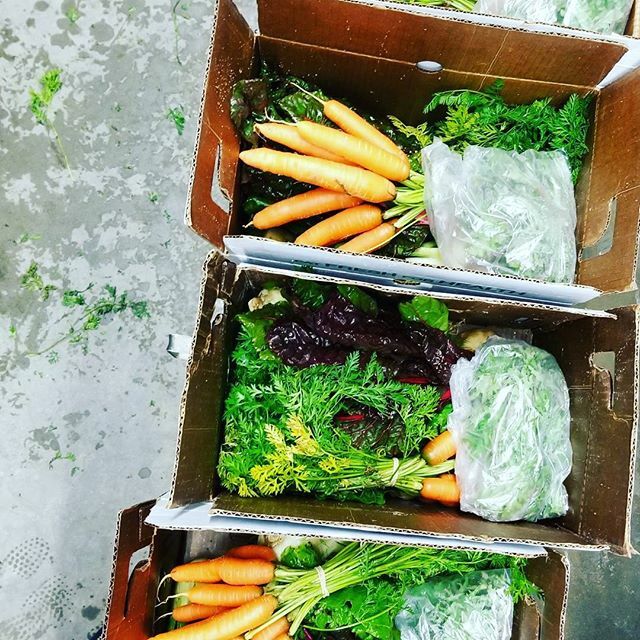 WINTER CSA - Sign-up for Long Island members online NOW! CSA RENEWALS FOR 2018 - Coming in November! Renewing members receive priority sign-up for our 2018 CSA season. New this year! Online payment with credit card or direct deposit. Save time & hassle! We'll be sending out renewal reminders beginning in November, so stay tuned. FRASER FIR CHRISTMAS TREES - From our sister farm in Vermont! We'll be sending out a separate e-mail with more information soon. In short, we will be offering pre-ordered, fresh-cut Fraser Fir Christmas Trees & Wreathes for pick-up at the farm in Jamesport this December. The trees are grown at our sister farm in Springfield, Vermont by our VT farm crew without the use of any synthetic fertilizers, pesticides or herbicides on land that is currently being transitioned to organic production. Stay tuned for more details! Carrots - Sweet, crunchy carrots. This is a variety called Mokum. We think it's the best variety! Remove the tops for best storage. Rutabaga - A cold weather favorite, I know that many of you wait all season for these. The rutabaga oven fries recipe below is a winner. Also fabulous mashed like mashed potatoes. Cabbage - We have a few different types of cabbage to harvest this week, so your variety will change depending on your pick-up day. I'm going to be making a hearty minestrone with cabbage this week as well as a cabbage, red onion and orange salad. Both are great uses for this versatile and SUPER healthy veg! Swiss chard - Wonderful in fall stews...try the recipe below for a Greek flavored dish! White Potatoes - These are THE BEST variety for mashed potatoes. Light and creamy when whipped.